Luxury two bedroom, two bathroom penthouse apartment with fully fitted kitchen and air conditioning to the lounge and bedrooms. There is a very large roof terrace offering spectacular views to the sea. There are 3 pools within the complex with a bar and cafe alongside the centre one which also offers free communal WiFi. On the Villa Sol resort there are a number of facilities including a Pub which does food, a fine restaurant, cafe, and tapas bar. The Vila Sol Golf Club House is approx. a kilometre away located next to the 5 star hotel. There is free communal WiFi around the central pool area. We are pleased you liked the apartment but concerned you couldnt find the heating. The heating is thru the airconditioning cooling and heating exchanger. We have checked and cannot find a record of you telephoning the office for assistance when we would have been delighted to have helped. Sorry if you found it chilly during the evenings but hope you enjoyed the apartment and local facilities overall. A 2 bedroom penthouse within the Village area of the luxurious 150 hectare Vila Sol Spa & Golf Resort. The Village encloses a large safe contained garden which has 3 swimming pools, one of which is heated and a well appointed snack bar. The Resort houses a 5 star hotel, the golf course itself, the golf academy, clubhouse and tennis centre. There is also an exclusive restaurant, English gastro style pub and a Deli France café. Vilamoura Marina with its numerous shops and restaurants is just a few minutes away by car or taxi and there are a number of wonderful golden sandy beaches nearby. 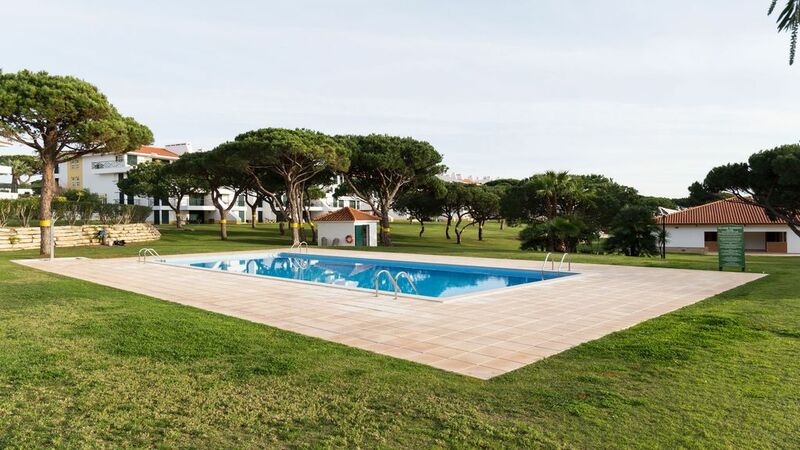 There are also six top quality golf courses in the Vilamoura area including the superbly maintained Vila Sol 27 hole championship course itself.